(CNN) The federal appeals court in Washington, DC, sided with grand jury secrecy on Friday, ruling that federal district judges don’t have the power to make the grand jury’s records public, even in historically significant cases. In the case of special counsel Robert Mueller’s probe and related grand jury records, Attorney General William Barr said he is working with the outgoing special counsel to redact confidential information from the grand jury from Mueller’s final, almost-400-page report, which will be released publicly this month. But transparency organizations and House Democrats have already indicated they may challenge Barr with court action and political posturing. The ruling Friday throws a possible curveball into those strategies. 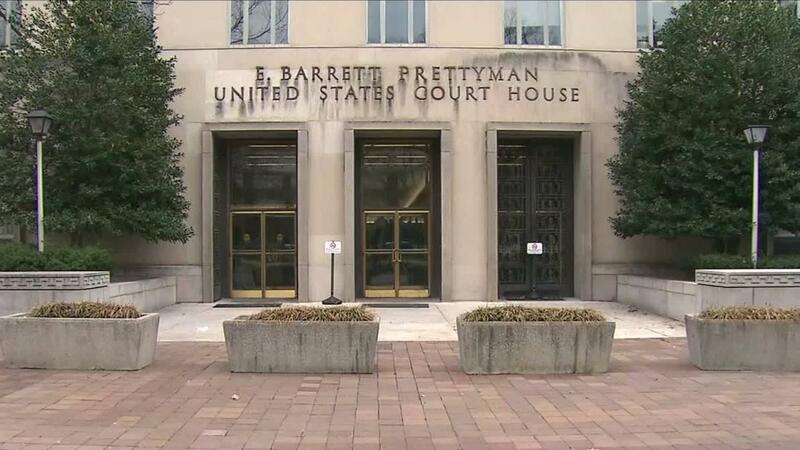 Most recently, a federal court denied making the name of a company public in a Mueller grand jury proceeding, and the grand jury Mueller used since 2017 continues to meet, even gathering briefly in the federal courthouse Friday morning. The DC Circuit Court of Appeals on Friday split 2-1 in its grand jury secrecy decision, ultimately siding with the Justice Department in a case brought by researcher Stuart McKeever seeking records from 60 years ago. The power of sharing grand jury records largely rests with the executive branch of government — specifically, prosecutors, because grand jury proceedings happen at arm’s length of the judicial branch, the appellate court found, citing previous appellate decisions in its reasoning. Federal rules that keep the work of a grand jury secret — including transcripts, related cases and court filings — are strict. Yet there are other exceptions. Witnesses called before the grand jury, for instance, can talk about their experiences. And the judges give some hope to the apparent quests for grand jury material gathered by Mueller, such as if the House of Representatives decides it wants to use the information in its own investigation of President Donald Trump, his political associates or the Russians. RELATED: The release of the Mueller report is coming. How redacted will it be? The appeals court notes that in other cases, grand jury secrecy was overcome to aid in other investigations. Judges still are able to disclose grand jury records “in connection with a judicial proceeding” in some circumstances, such as when the House Judiciary Committee weighed the impeachment of President Richard Nixon. Spokespeople for the law firm that represents McKeever did not respond to inquiries on Friday regarding whether he will continue to appeal for the grand jury material. But a public advocacy organization called Protect Democracy noted a carve-out in Friday’s opinion — if the House sought a court’s permission to gather grand jury documents. In the case decided Friday, McKeever, a historian and author, sought for his research the release of much of the grand jury’s work related to the 1957 indictment of a former FBI agent and CIA lawyer whom he believed was behind the disappearance of a dissident in 1950s Dominican Republic. McKeever wanted to use the material in research for a book. The agent, John Joseph Frank, was ultimately indicted for failing to register as a foreign agent. McKeever lost his request at the trial-court level in Washington. The appellate judges on Friday specifically mentioned how disclosure of grand jury records could have a “chilling effect” on what witnesses say in the secret proceedings used to flesh out criminal cases. “If a witness in Frank’s grand jury proceedings had known that the public might learn about his testimony in the future — and that his words could be immortalized in a book — then his willingness to testify ‘fully and frankly,’ could have been affected,” Circuit Judge Douglas Ginsburg wrote in the opinion Friday. Ginsburg, who’s served as an appellate judge since the Reagan administration, wrote the opinion, speaking for the panel of three judges, which also included Judge Greg Katsas, a former Trump White House lawyer and a Trump appointee to the bench. Judge Sri Srinivasan, who was named to the court by President Barack Obama, opposed their decision, saying federal district judges could authorize the release of grand jury material in some circumstances. The decision Friday effectively reverses slivers of a recent opinion related to grand jury documents from the Starr investigation into President Bill Clinton. That opinion, from Chief Judge Beryl Howell of the DC District Court, came in response to a request from CNN to make public documents that Starr largely released to Congress but had stayed under seal in the judiciary for 20 years. Howell’s opinion in that case was used as recently as last week by a First Amendment group asking for the release of details related to the Mueller grand jury’s work. Howell has overseen the grand jury used by Mueller since 2017 for the Russia investigation, and even approved an extension of its service for up to six months at the beginning of 2019. That grand jury’s work continues, with federal prosecutors gathering it once again on Friday for a little more than an hour, apparently for the first time since Trump political adviser Roger Stone’s indictment on Jan. 24. There’s no indication that prosecutors from the Special Counsel’s Office, which is disbanding, are still using this grand jury for criminal investigations, though the Mueller team has referred criminal matters out to other prosecutors’ offices, including in DC.